Let us help you achieve your smile goals! Cosmetic dentistry is different from general dental care; it is both an art and science. By providing cosmetic dental care by our cosmetic dentist in Tampa, your dentist is able to offer smile enhancement, restoration, and maintenance treatments for optimal dental health. Using cutting-edge techniques and advanced materials, our office proudly offers you a beautiful, natural smile and all the benefits that come with it. 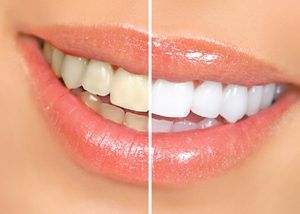 The first professional option is commonly referred to as in-office whitening. This procedure is performed in a dental office. During an appointment, your dental professional will apply a whitening gel to the surface of your teeth. ​​​​​​​Veneers are natural in appearance and are a perfect option for patients wanting to make minor adjustments to the look and feel of their smile. They are thin, custom-made shells made from tooth-colored materials (such as porcelain), designed to cover the front side of your teeth.